When mysql server is hosted on a cloud environment like amazon aws/ec2 or rackspace, connecting to it using mysql GUI tools may not be possible without opening default mysql server port 3306. It is not recommended to open port 3306 on your production server for outside world for security reasons. 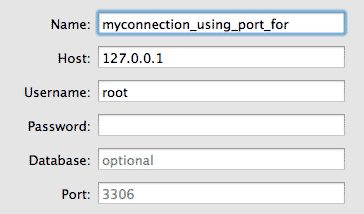 One option for regular mysql operations is to connect to your remote cloud server using ssh and run command line utility mysql. This is not very user friendly option. The second option is to use phpmyadmin and do admin stuff from web interface. This option is slightly better if your mysql password is strong and you use it over https. But this will require setting up secure web server setup. Also the web interface may have its own limitations as compared to a GUI client. This technique can be used for other applications also where you need to connect to some specific port which is not open for remote connections.